When you run online payroll software for your own company you often get asked questions from employees quiring the breakdown of the payslip or tax. Other questions you’ll get is pay to date or how much tax have I paid. To help you or/and your accountant answer these questions better we’ve created a simple but detailed report to allow you instantly get an overview of where you are with payroll, using your online payroll software. 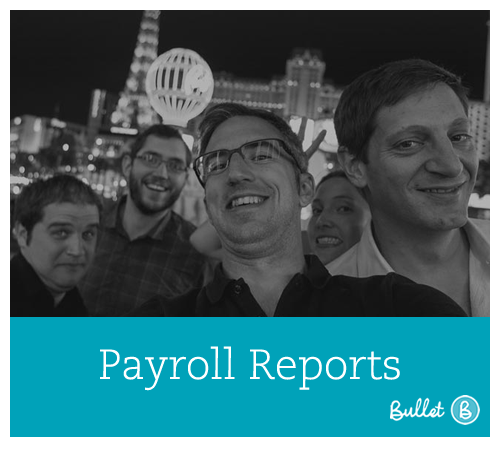 What’s It For: Getting a snapshot of every aspect of your company’s payroll, or for drilling down. Report Gross to Net Detail: Used if you want to get specific employee payment information, like show me the payroll and taxes for Pete between Jan ’14 and June or all the wage payments for all staff between Jan ’14 and today. Report Gross to Net Total: Used if you want the above information but just the totals. For both reports its possible to filter the results by Employee, or just show All employees. Here are some of the column headings explained. Gross Pay: The standard wage plus any additions / deductions that affect the gross pay. Taxable Benefits: This is populated if Health Insurance is entered in for the wage. Taxable Additions: This is the sum of taxable additions added to the wage. If you create a Payroll Addition, and input a value greater than zero for “Tax Information PAYE %”, then it will be classed as a taxable addition. Allowable Deductions: This is the sum of allowable deductions added to the wage. If you create a Payroll Deduction and input zero for “Tax Information PAYE %”, then it will be classed as an allowable deduction. Note “USC/Employee PRSI/Employer PRSI %” can be greater than zero, but it will still be considered an Allowable deduction. Tax Deducted: Total PAYE tax deducted. Non Taxable Additions: This is the sum of non taxable additions added to the wage. If you create a Payroll Addition, and input zero for “Tax Information PAYE %”, then it will be classed as a non taxable addition. Note “USC/Employee PRSI/Employer PRSI %” can be greater than zero, but it will still be considered an Non Taxable Addition. Non Allowable Deductions: This is the sum of non allowable deductions added to the wage. If you create a Payroll Deduction, and input a value greater than 0 for “Tax Information PAYE %”, then it will be classed allowable deduction.